One could almost think that the “economic miracle” Online Print is saying goodbye. The growth rates are no longer as gigantic as they were a few years ago. Cimpress, the industry leader, is also feeling the effects. Time for a few questions, which Robert Keane answered in conversation with me. 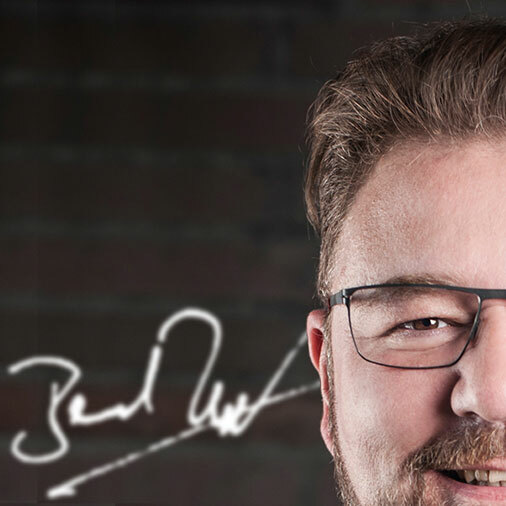 Bernd Zipper: Hello Robert – thank you for your time. But I think we should talk about a few topics. Not all investors believe in the Cimpress success story at the moment and the rumors are increasing… Do you believe in rumors? Robert Keane: Bernd, we don’t have time to worry about rumors. We focus on the facts related to serving our customers better, and to making Cimpress a great place for great talent. If we do those things well, our results will make long-term investors happy. Bernd Zipper: Robert, you’ve built a remarkable corporation. Just under $2.6 billion revenues is a big deal for a group of printers. However, the growth rates compared to previous years are well below expectations. How can this be interpreted? Robert Keane: I interpret this to mean that Cimpress has no choice but to be better, faster and lower cost. The entire web-to-print industry seeing slowing growth, and we have entered a stage of very tough competition that will separate the long-term winners from everyone else. Yes, it is tough for all of us competitors, but it is a great time for customers because the competition is forcing major customer gains in terms of lower prices, faster lead times and easier customer experience. Bernd Zipper: Even though the stock market thinks in quarters, Cimpress still achieved a remarkable annual result. And even if the growth rates are declining – there is still growth. Why do investors react so nervously? Robert Keane: Look, Bernd, I agree that Wall Street is fickle and that share prices of companies like Cimpress are very often volatile due to short-term perspectives. But recently Cimpress disappointed even our long-term investors, including myself and the members of the board of directors and executive team who are also long-term shareholders. We failed to be as strong competitively as we can and should be. That is we are so dedicated to fix that. Bernd Zipper: Did you really cut your salary to show your investors how serious you are? Robert Keane: It is true that I converted my compensation to performance-restricted shares which will be worthless if we don’t deliver strong share price appreciation over the next six to ten years. I did because I believe in the future of Cimpress. 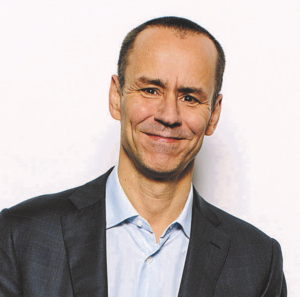 Bernd Zipper: Cimpress changed its successful structure at the beginning of 2017. There was talk of decentralisation and a more diverse top management with corresponding responsibility. How has this affected day-to-day business? And did it bring the expected success? Robert Keane: Yes, it did bring the expected success. Day-to-day we have seen most Cimpress businesses gain speed, focus and competitiveness. Our leaders and team members feel more accountable and empowered. Financially, we’ve also removed roughly $80 million of annual costs from as a result of decentralization or closely related actions over the last 2 years. Bernd Zipper: Following the “streamlining” of the Group structure, growth rates are declining. Is there a connection? Robert Keane: No, we don’t think our decentralization and our cost reductions caused our slowdown in revenue growth. Growth in the whole market is declining, and we think we would have done worse if we had remained centralized. Bernd Zipper: Measures have now been introduced to improve Cimpress’s performance again. Does this also mean a return to the old structure? Robert Keane: I know you like to ask from different angles Berndt, and I don’t mean to be rude, but this is getting kind of repetitive!! If you think about the answers that I just gave to the last two questions, it should clear that returning to the old structure would not make sense. 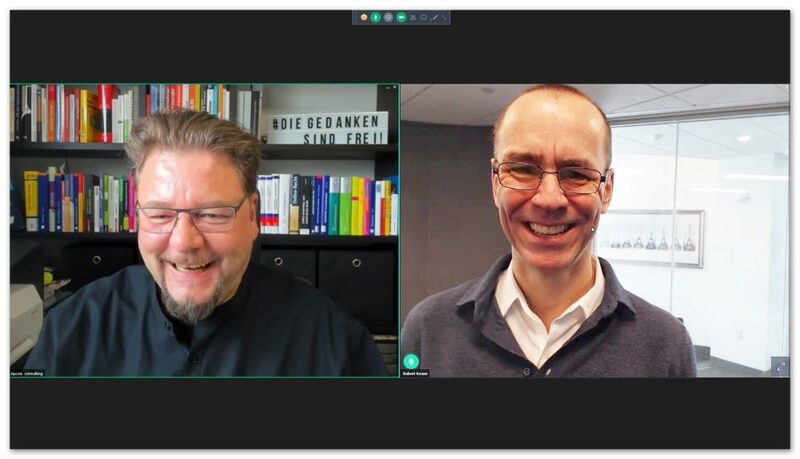 Bernd Zipper: The last big acquisitions were BuildASign and National Pen – two really different business models – are you happy with how these two new players are developing in the Cimpress universe? Robert Keane: Yes, we are very happy with both BuildASign and National Pen. They deliver great value to their customers by producing lots of small custom products in standardized, low cost, high volume production facilities, which is the mass customization business model that we like. And they operate very much in line with the Cimpress strategy of investing in and growing decentralized, customer-centric, entrepreneurial mass customization businesses. Bernd Zipper: For $29 million, you also took over Vida. Vida offers original, quality apparel, accessories and home decor items designed by artists and designers around the world and produced on demand on a grand scale. The acquisition of Vida is a 74% majority stake. That’s unusual, but normally Cimpress only takes over 100%, doesn’t it? Robert Keane: Usually 100%, yes, but now always. Especially for founder-led businesses, if we can act as a long term co-owner of their business, we find that it can be very effective to have the owners stay involved to share in the upside of the future. Bernd Zipper: Only an original business model could not have been the reason for the takeover of vida. What was the real idea behind the takeover? Testing new business models? Robert Keane: Yes, testing ways to expand the mass customization business model was exactly the idea. Way back in 1987, Stan Davis defined mass customization as “Generating an infinite variety of goods and services, uniquely tailored to customers.“ Vida is trying to bring this to major market segments that are still very traditional and wasteful. If the Vida vision works, it could be very signficant. Bernd Zipper: Which external factors are the most worrying for you at the moment? 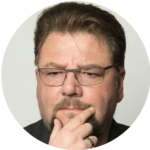 Robert Keane: Well, this may not be they type of industry-specific answer you are thinking of Bernd, but I worry most about the rise of nationalism and the fear of globalization. The world faces many problems, and populists are rightfully upset about things, and many people are understandably afraid of non-stop change. Society need to hear and address those fears, but we also shouldn’t throw out the entire system that has built such global prosperity for seventy years. 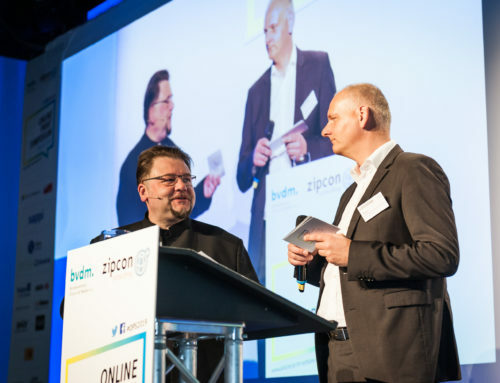 Bernd Zipper: Online printers have grown with the Internet and depend on it. But now the costs for new customer acquisition seem to be getting out of hand. At least that’s what many other online printers complain about, and that’s obviously become a problem at Cimpress too. How do you see this challenge? Robert Keane: Yes, customer acqusition costs are a big challenge. In fact, we have recently significantly reduced advertising levels because the cost just didn’t make sense. Of course we still want new customers, but we are focusing more on serving our existing customers very well. We are lucky in that we were able to acquire millions of customers over the past two decades, well before the costs rose so much. Bernd Zipper: Not all Cimpress online platforms are equally good. Some are true e-commerce professionals – others never seem to have heard the word “customer journey”. Don’t you see a connection between the degree of professionalization of the online solution and the turnover? Robert Keane: Yes and no. Of course, it helps to have a great website, as you imply. But some of our strong businesses who are behind in that dimension are still growing nicely because of their service quality, the differentiation of their customer focus and other factors. And we expect to continue to invest to improve all our businesses on all dimensions, e-commerce and otherwise. Bernd Zipper: In one of our conversations you told that Cimpress would not take over any company for the time being. After that Cimpress quickly took over BuildASign and Vida. (laughs) So, Robert – what’s your strategy – generating growth through further acquisitions? Robert Keane: Well of course we would never speak publicly about our acquisition plans ahead of time. So this interview, let me just say “no comment”. Founders and leaders of really strong businesses who want to build an even greater business as part of Cimpress can always reach out us privately if they want to discuss ideas. We even have a contact form available for them on the Cimpress website! 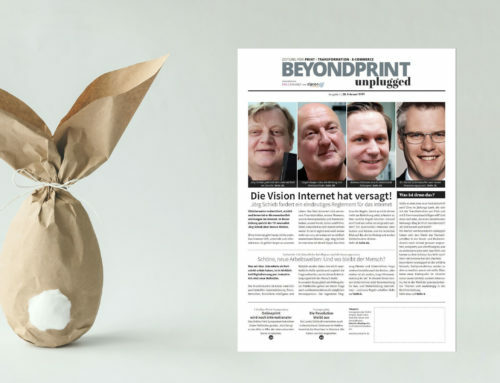 Bernd Zipper: In the meantime, it should be noted that the major platforms – Amazon, Alibaba and Co. – have also discovered Print for themselves. What if exactly these companies like Cimpress and want to participate in Cimpress? Or do you see Cimpress out of competition? Robert Keane: We believe that Cimpress will win because we have unmatched experience and scale in this very specialized market, but the entry of big platforms is another example of why the customer is going to continue to win. There is incessant pressure on competitors in the online printing space to get better, faster, lower cost. We think partnership with these firms, but not equity participation, might make sense. Time will tell. 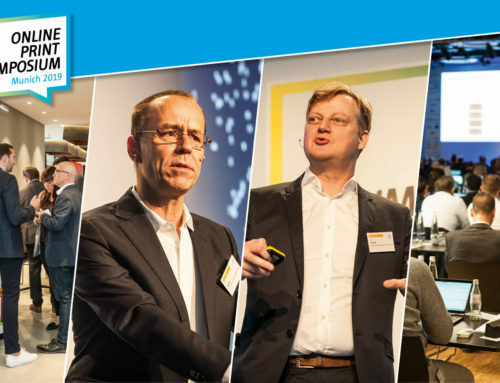 Bernd Zipper: At the Online Print Symposium 2016 you talked about your planned MCP platform. What is the status of the developments? Robert Keane: The Cimpress MCP is doing very well. Since 2016, we have focused the mass customization platform on software components that we develop for use across Cimpress. This lets our business access world class technology that they couldn’t justify themselves. Bernd Zipper: Now I know some Cimpress companies and also their platforms. Some of them are extraordinarily performant – but only because they are tailor-made for the respective company – others are not. Do you really see a chance to network Cimpress and Cimpress suppliers worldwide? Robert Keane: Our businesses and their suppliers are already leveraging each other via the MCP, and we expect that supplier chain network to keep growing and getting stronger. But your question is missing an important point about our mass customization platform, because intra-Cimpress wholesale supply chain commerce is only one component of the MCP. The software services we provide to our businesses are an even more powerful aspect of the MCP. 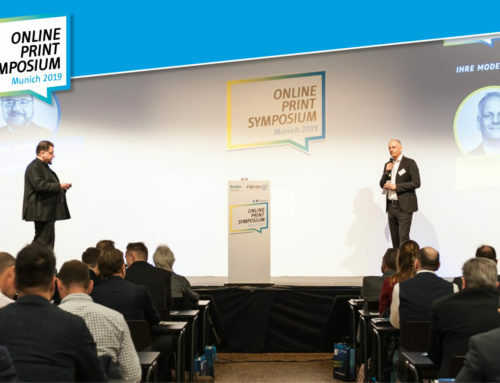 Bernd Zipper: I am very happy that you will be giving the keynote of the Online Print Symposium again this year. Can you give me a little foretaste of your presentation? Robert Keane: Often people ask me about how automation, robotics and machine learning will be used in our industry. So I will focus on those subjects, and put it into the context of the difficult competitive situation all attendees at OPS face because of slowing growth of web-to-print and so many competitors. Beyond my presentation, I look forward to attending the event, and hearing the perspectives of industry colleagues who are also presenting or who I will be seeing when I am there. Bernd Zipper: Thank you very much for the candid interview. 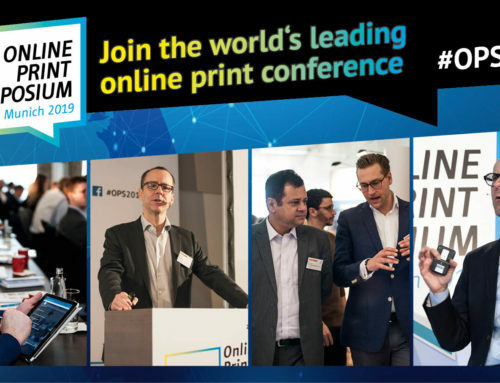 As a side note: There are tickets available for the 7th Online Print Symposium, so please secure one of the coveted tickets and be there when Robert Keane opens the symposium on April 3rd with his keynote address. One could almost think that the "economic miracle" Online Print is saying goodbye. The growth rates are no longer as gigantic as they were a few years ago. Cimpress, the industry leader, is also feeling the effects. Time for a few questions, which Robert Keane answered in conversation with me.